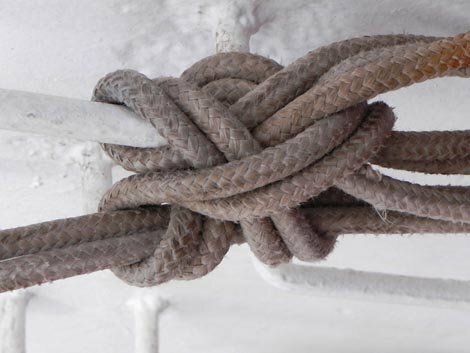 If you’ve ever wondered how folks keep everything ‘together’ on a rocking ship then you’ll enjoy this slideshow. I’ve been wandering around the ship facinated by the fastners, ropes, clamps, bolts, wing nuts, bungee cords, zip ties, etc., used to keep objects from becoming flying debris and held down. I’ll continue to update the slideshow with new additions as I find them (and I WILL find more).